New Brains For Sale … Really? Sounds like something you could use. Right? Summer is over and fall is quickly on it’s way. What’s that mean? Well if you’re in the advertising biz it means that the midnight oil is getting poured into our desk lamps in prep for busy weeks. Everyone is cramming their last advertising $ into the final 4th quarter pitch before implementing the 09 marketing plan. That’s why I want a new brain. One that I can cram a ton of thoughts & ideas into and then easily access it. What? It doesn’t exist. Well until it does I have something that will help with “crazy busy” times his fall. 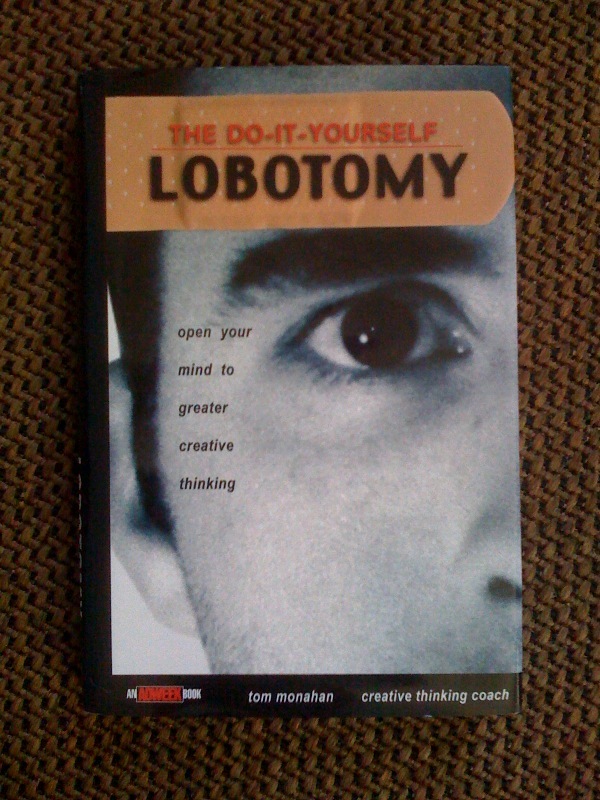 Check out Tom Monahan’s Do It Yourself Lobotomy. It’s packed with tons of ways to brainstorm new ideas for yourself and your clients. I use it often with clients as we work together on projects. It’s fun, helpful and a great idea generator packed in this small, easy to use book. Try the 180º THINKING™, you’ll go out of your mind. Give it a read, let me know your thoughts! !